when you cross a pirate ship, a bird of myth and legend and a kelly jo phelps song? 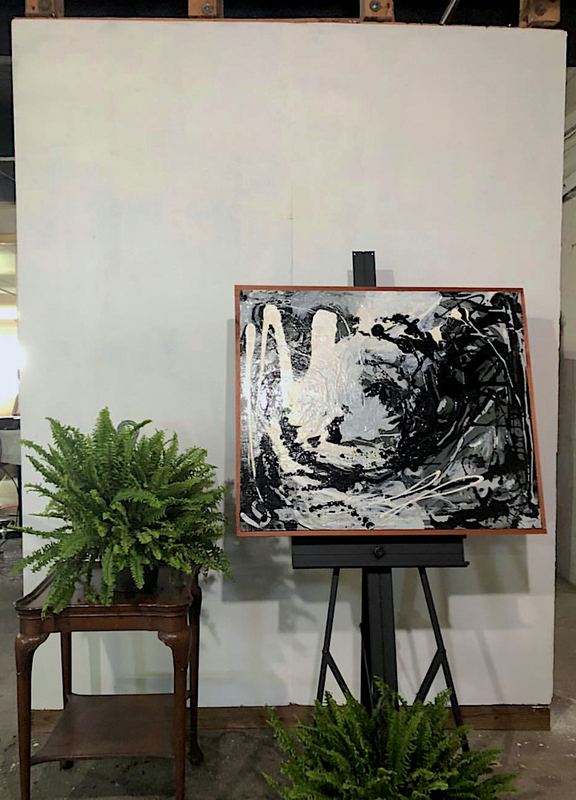 I entered a mural contest in an art show to be held in a vacant space in the Union Warehouse to help promote the space to investors. I submitted the image from one of my earliest paintings (right around the year 2000) that I titled “The Shaman”. I wasn’t sure who else had entered, but I was thrilled to have my design chosen for the wall. As I made my way up to the top floor in the old freight elevator, brush in hand, I had no idea what an inspiration the space would really be. The vastness of the space, 5500 square feet in all, with its gritty concrete floors, hollow firebrick walls and stunning views of the downtown skyline captivated me. Within a few hours painting alone in the space I became convinced that this space would become my own space, its development would be another creative outlet for me was the growth that I needed. It’s existence was my protest, my commitment was my protest. This space was needed more than ever, and I would share it with other likeminded folk. So I chose to leave my beloved Frankencoop to build my crow’s nest. Today, the Crow’s Nest Studios is home to three resident artists, a resident photographer and a resident Kevin who keeps our projects running smooth and balances the space with some testosterone. We open the studio to the public and other artists a few times a year, but generally keep our resident numbers low so that we can all enjoy the space more intimately. We share the costs evenly and don’t concern ourselves with profits. We are just a humble maker space for the dreamers and the doers. This is where you will find me, and when I’m not here, this is where my heart is.